Ohhhhhhhhh man. Who knew they even MADE popcorn like this right? 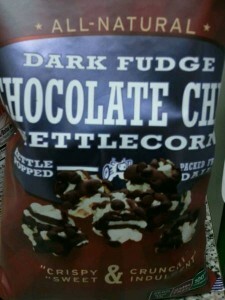 Dark Fudge Chocolate Chip KETTLEcorn? That’s like chocolate on top of amazing-ness….Am I right? The sweet and sugary tasting kettlecorn was crunchy and also had a bit of saltiness going on. 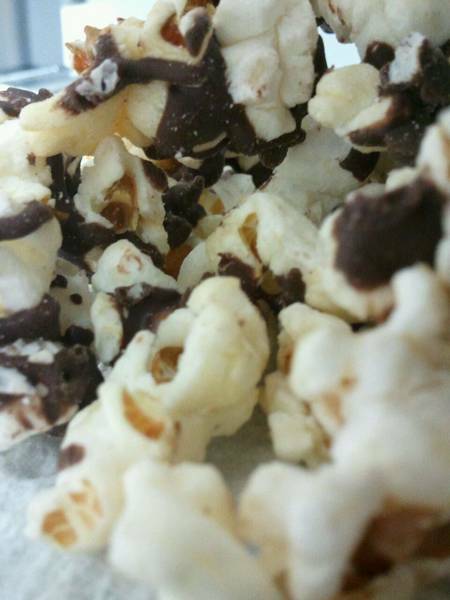 Almost every piece of popcorn had some chocolate on top of it. The chocolate coating was rich, smooth and sweet, and just the perfect addition to the kettlecorn. 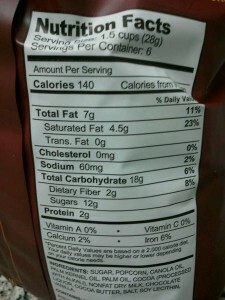 It did have a dark chocolate flavor, but was also sweet enough that a milk-chocolate lover like myself could enjoy it. This popcorn was like a twist on chocolate covered pretzels. So many delicious flavors, all in one! And seriously addictive. I would be lying if I told you I only had one serving (jokes!). 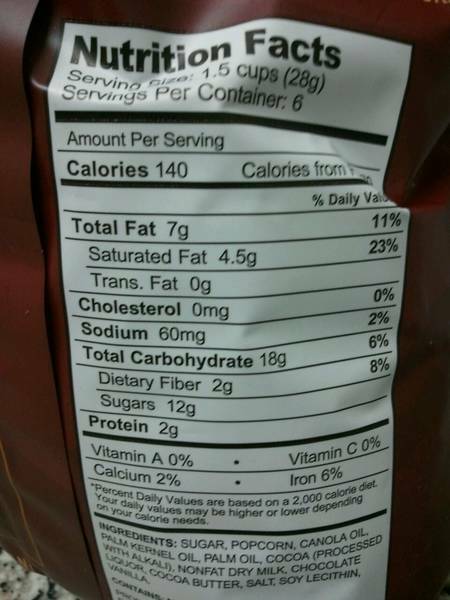 Good thing the serving size was rather decent, I weighed a nice portion of it, and it was only a little bit over 28 grams (the serving size).